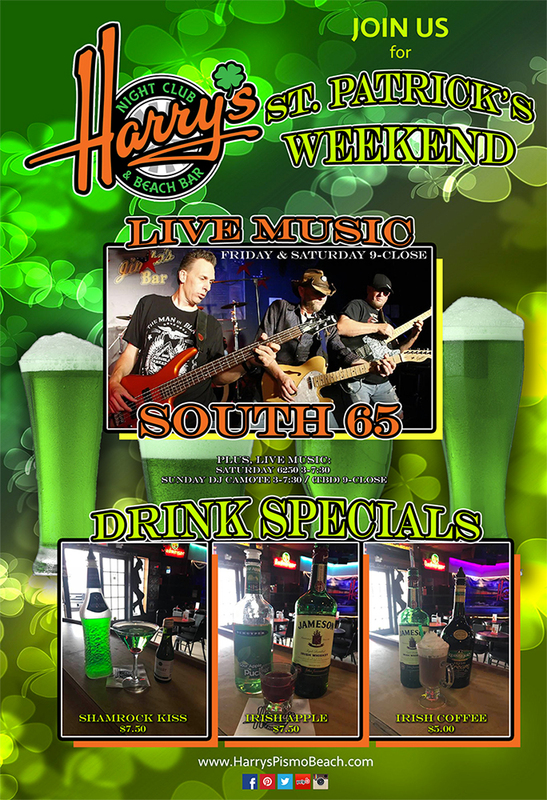 Join us for our Weekend-Long St. Patrick's Party! We will have Live Music Friday & Saturday night by SOUTH 65 (9-close), Saturday 3-7:30 we have 6250, and on Sunday DJ Camote will be here 3-7:30 and we will have a live band that night from 9-1am (TBA). There will be beer bucket specials / green beer, and amazing drink specials! So Get your Green Ready and Save the Date for the Best St. Patty's Party on the Central Coast!